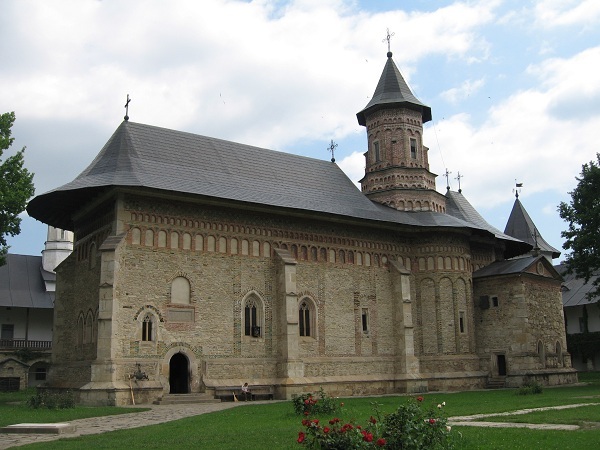 Putna Monastery, was erected between 1466 and 1469, in a period of glory by Stephen the Great (1457 to 1504), who was also buried there. 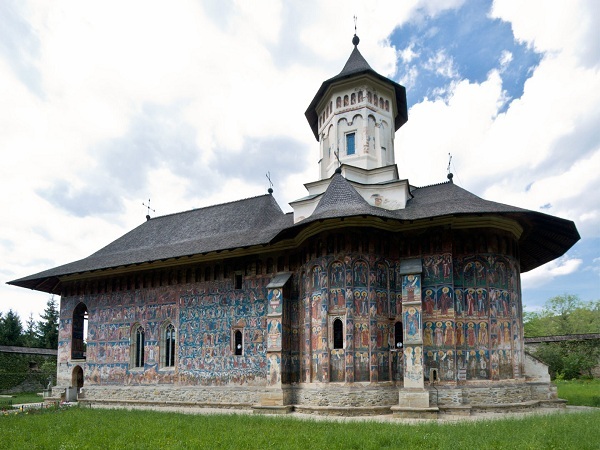 Undoubtedly the church of the Putna monastery was monumental as the masters and painters surpassed their own talent in working there. 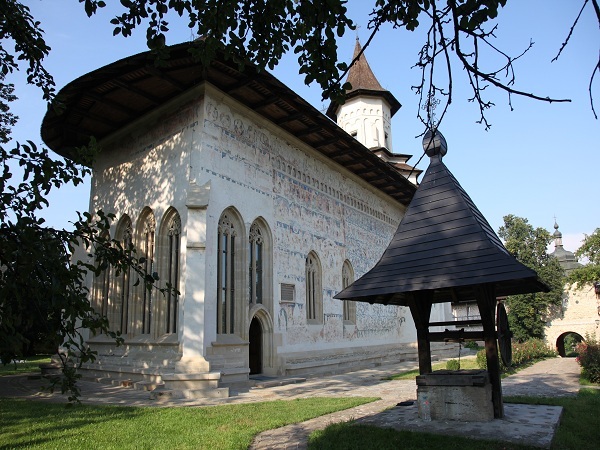 The chronicler Ion Neculce mentions its beauty and the circumstances under which the place where the monastery was to be erected was chosen: “When he decided to build the Monastery of Putna, Stephen the Great launched his arrow from the top of a mountain that was in the neighborhood of the monastery and on the very place the arrow fell, the sanctuary or the altar was built”. 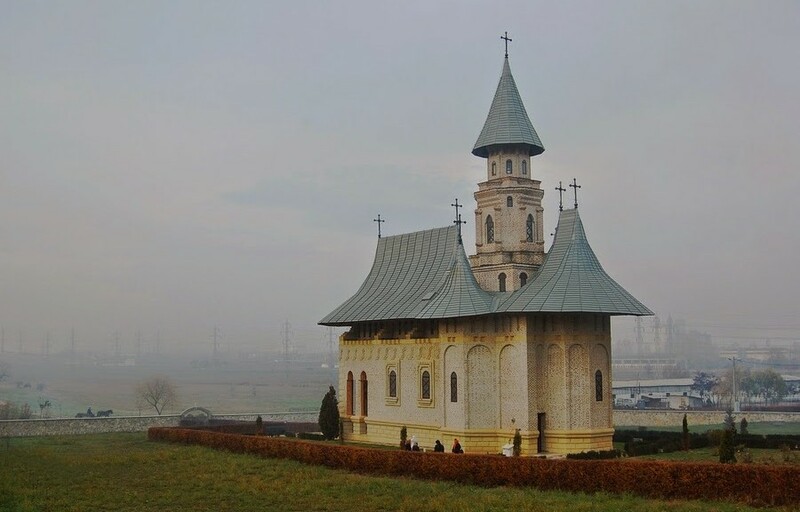 Although the image of the original church was preserved only in chronicles: “the paintings were covered with gold both inside and outside the church”, being destroyed in 1653, and re-built between 1653-1662 during the reigns of Vasile Lupu, Gheorghe Stefan and Eustratie Dabija, the church was preserved in this form up to present days. 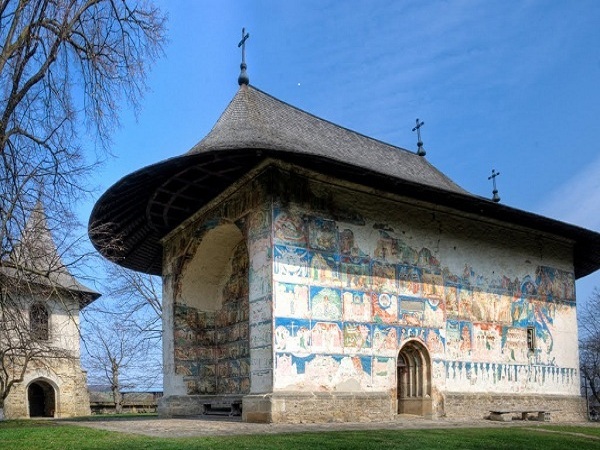 Generally speaking, the church obeyed the initial architecture said to belong to the Moldavian style, as it was formed of five rooms: a porch, narthex, burial vault, nave and altar. 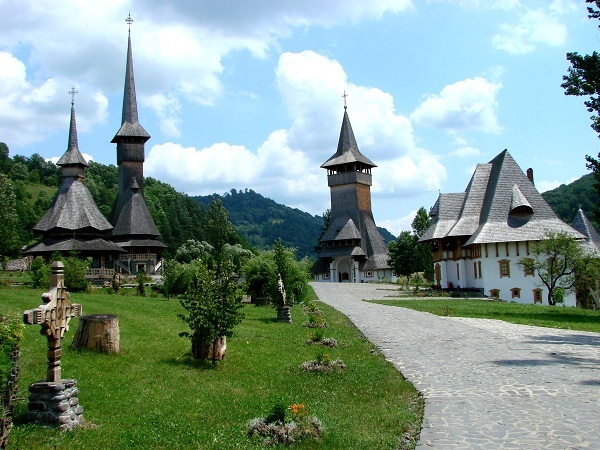 Putna has a typical trefoil plan with an extended west end, making it look long, thin and elegant. A strong “brau” motif encircles the whole body, helping to counteract its vertical thrust and make the building seem grounded. Instead of an entrance at the west end there are lateral doors into the narthex, and a single, polygonal tower in the roof decorated with crude floral motifs alternating with twisted collumns. In the narthex is a small apse containing scences that show the official feast for every day of the year. Made from the order of the prince, 12 years before he died, the grave of the pious king Stephen the Great is in the southern part of the burial vault. Next to it there is the grave of Lady Maria Voichita. On the northern part there are other three graves: of Lady Maria of Mangop, of Petru and Bogdan, Stephen the Great’s sons. 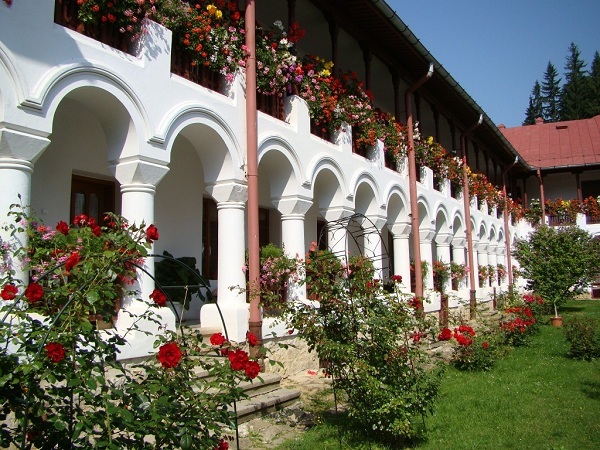 An important school of copiers and miniaturists functioned within the monastery. 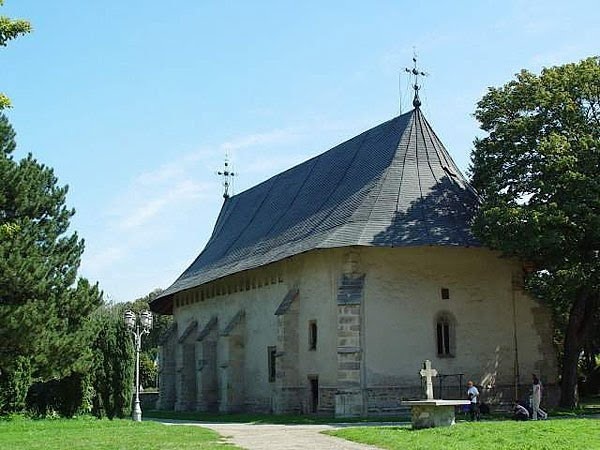 There were copied and decorated religious texts, and during the 10th and the 16th centuries an elementary school and a medium school functioned here, where the chronicle writers and the clergy of Moldavia were formed. 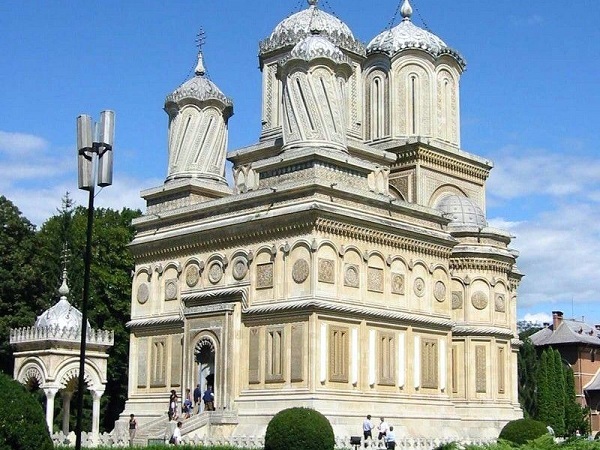 The museum contains exquisite shrouds and painted books from the monastery’s superb collection of religious artefacts. One of these is a silk shroud made in 1477 by the Tartar princess, Maria of Mangop, who was one of Stephen’s wifes. Other valuable jewel of the monastery that should be mentioned is the miracle working icon of Theotokos which was brought, according to the tradition, from Constantinople in 1472, by Lady Maria of Mangop.Along with it the skull of the Saint Ghenadie, the wonder worker, which is covered with golden silver, they were donated to the church in 1488 by its founder. 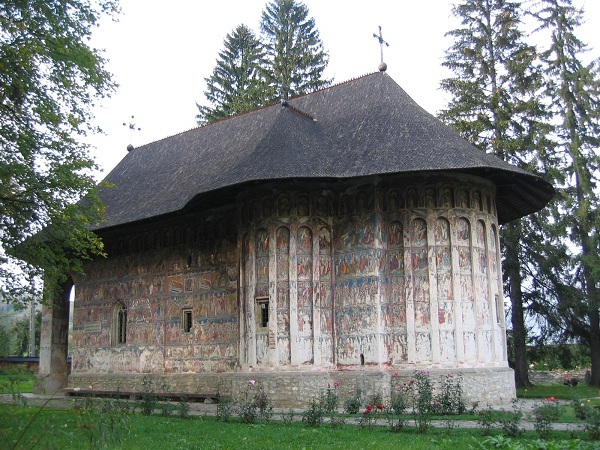 There are also several illuminated manuscripts, one of which contains the only known portrait of Stephen the Great during his lifetime and maps showing other churches that he founded According to the tradition, outside the church, in the southern part, next to the Holy Altar, there is the grave of St. Hierarch Ilie Iorest, a monk from Putna that was a Metropolitan of Transylvania, where he confessed the Orthodox faith during the Calvin persecution. 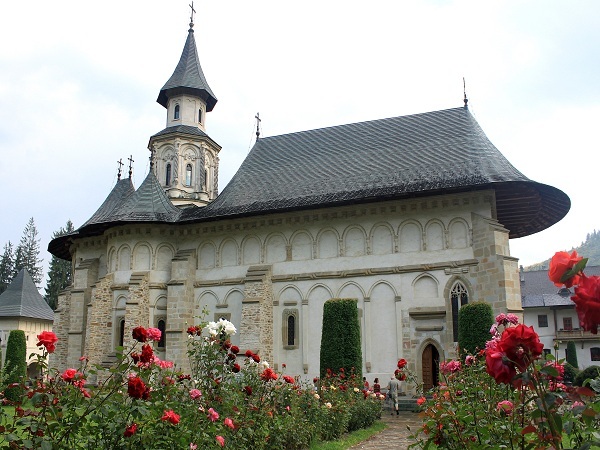 After hard years of jail, when he came back to Putna, he died on March 12, 1678. 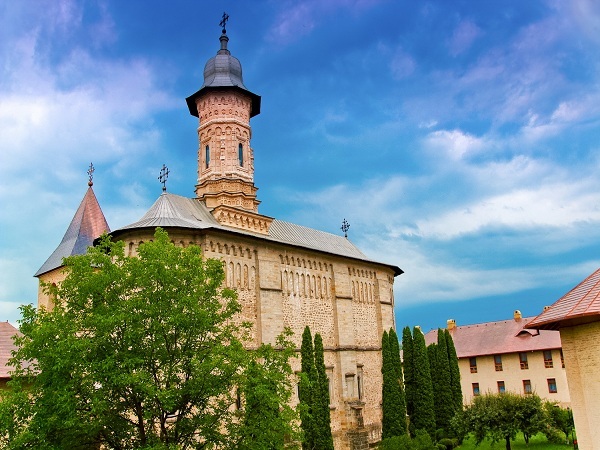 For Christians Putna has always been a fortress of pray and spirituality, where numerous generations of monks strove to become perfect, to know God. Monks are required to pray for the whole world, this being their first attribution. Thanks to the monks, the prayer has never stopped on earth, as the world lasts only through prayer. 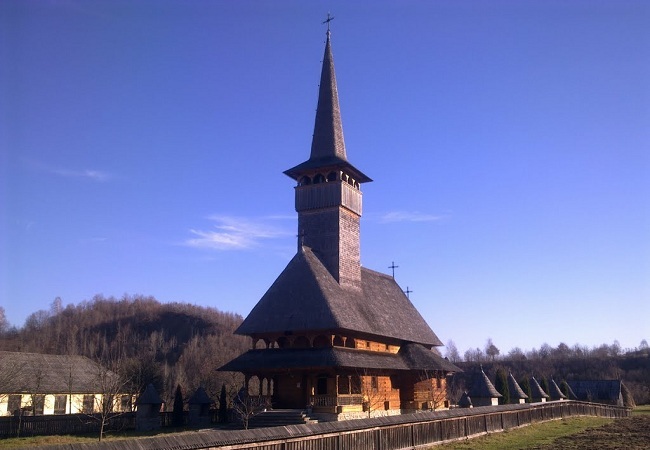 Therefore the monks of Putna try to serve the Holy Liturgy and the Seven Praises everyday.